It should come as no surprise that the Shadows Over Bögenhafen DLC was based on the original Warhammer campaign titled under the same name. It played an integral part in development and served as a huge inspiration to our team. 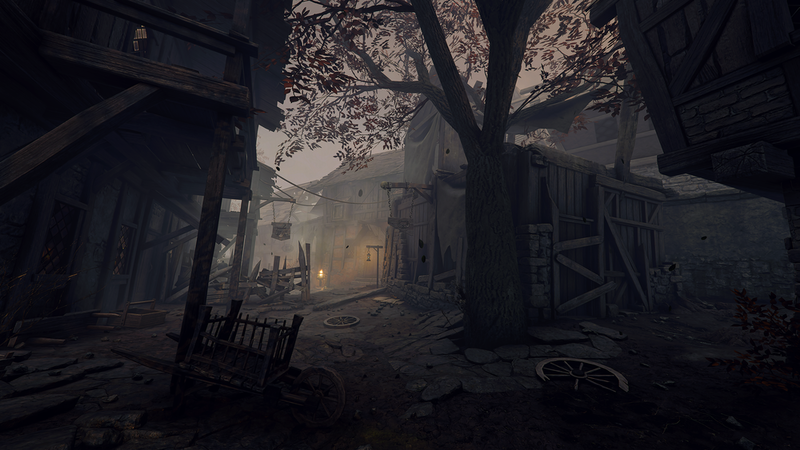 With the launch of our first Vermintide 2 DLC, we asked the creator of the original Shadows Over Bögenhafen campaign, Graeme Davis, to share a few words on how it came to be. Here’s what he had to share. The town of Bögenhafen was born in late April of 1986, when I began to write the adventure that would become Shadows Over Bögenhafen for Games Workshop’s in-development tabletop RPG Warhammer Fantasy Roleplay. Warhammer, the fantasy battle game from Games Workshop’s subsidiary Citadel Miniatures, was in its second edition then – the red box, for those old enough to remember – and the Old World was starting to take shape. If Games Workshop wanted a product that could, in the words of Managing Director Bryan Ansell, “stand toe to toe with Advanced Dungeons & Dragons,” then a Warhammer roleplaying game made the most sense. The story of Shadows’ birth is fairly well known, I think. I was fresh out of university, helping to develop the core Warhammer Fantasy Roleplay rulebook from an extensive draft by Rick Priestley and copious piles of notes by Bryan and Richard Halliwell. They had designed some great wargames between them, including Warhammer: I was brought in – along with Jim Bambra and Phil Gallagher, who had created some great AD&D products for TSR UK – for my experience with roleplaying games. Warhammer Fantasy Roleplay had yet to develop its distinctive personality, but knew that Chaos and demons (this was before the spelling was changed to “daemons” in Warhammer canon) would play a major role. My mind went immediately to the story of Faust; I was a theater geek, and Christopher Marlowe’s play Doctor Faustus seemed like a good place to start on a tale of temptation, corruption, and daemons. I added some complexity to the basic plot – that’s all I will say for fear of spoilers – and it became about greedy merchants in a small town. Bögenhafen was a name I plucked out of the air. In Reikspiel, the language of the Empire, it was meant to signify “the port at the bend of the river.” I added the umlaut above the ‘o’ purely out of caprice: just like the then-popular band Motörhead, I thought it added a nice Germanic touch. I called the adventure Shadows Over Bögenhafen as a nod to H. P. Lovecraft’s Cthtulhu Mythos tale “The Shadow Over Innsmouth,” akcnowledging the inspiration I took from Lovecraft and from Call of Cthulhu. The town itself was an integral part of both the adventure and the product. When Jim Bambra and Phil Gallagher arrived at Games Workshop, they set about planning and co-writing a series of campaign adventures that would make WFRP stand out from the crowd of fantasy RPGs at the time, while allowing players to explore the Warhammer world. From its origins as a fairly modest stand-alone module, Shadows Over Bögenhafen became the second part of the new Enemy Within campaign. Most tabletop roleplaying adventures are only useful once: after they are played, they have no further value. One of the guiding principles of the Enemy Within series, as it was originally planned, was that each instalment should provide some material that would be useful even after its adventure content was played. The Enemy Within provided an introduction to the Empire, and Shadows Over Bögenhafen would be expanded to include a medium-sized market town that could be used as a “sandbox” for further adventures and a model for similar towns elsewhere. I set about expanding the treatment of the town, adding locations, organizations, and political details beyond those that were required for the adventure’s plot. Bögenhafen’s sewers, and the rules I wrote for adventuring in this kind of environment, became the model for countless home-brewed adventures and – although I had hardly intended it – a signature WFRP motif. The town map was inspired by a 16th-century map of Nottingham – or rather, by a reproduction poster that I had bought in a gift shop shortly after I arrived there. I was struck by the way the cartographer had tried to draw a tiny picture of every single house, rather than taking the more schematic approach that had become standard in the 19th century and had passed into the cartographic standards for most roleplaying games at the time. I spent the better part of a day hand-drawing a map of Bögenhafen in my best approximation of that style, which was then passed on to staff artist Dave Andrews who made the map that shipped with the adventure. Jim and Phil handled editing and development, as I did for all of their writing. When The Enemy Within and Shadows Over Bögenhafen shipped, a few months after the WFRP rulebook, the critical response was everything we could have hoped for. People loved the gritty, grubby, and anti-heroic feeling of the Warhammer world, which contrasted sharply with the Hollywood-medieval cleanliness and simple morality of Advanced Dungeons & Dragons at the time. The game was especially popular in Europe, and this surprised us: we never thought that it would be read or played by anyone whose first language was not English. After all, could we read Drakar och Demoner in Swedish, Das Schwarze Auge in German, or Rêve de Dragon in French? When we first started having fun with German-ish names in WFRP, we never expected them to be read by actual German speakers – or we might have been more careful, and perhaps WFRP would have lost another of its distinctive features. The Enemy Within and Shadows Over Bögenhafen first shipped in the standard “module” format that was used for almost all tabletop RPG adventures at the time: one or more booklets and a few sheets of handouts inside a card wrapper, with plastic shrink-wrap to hold everything together. It quickly became apparent that this format was too delicate to withstand a lot of handling, so the next chapter of the campaign, Death on the Reik, was shipped as a boxed set. The box, too, proved a little too fragile, so the remaining instalments were shipped as hardback books. The Enemy Within and Shadows Over Bögenhafen were reprinted in a combined hardback titled Warhammer Campaign, and Death on the Reik also received a hardback reprinting; later on, all three titles were reprinted in a thick softback titled Warhammer Adventure. Games Workshop stopped producing material for Warhammer Fantasy Roleplay in 1992, but Shadows Over Bögenhafen was reprinted under licence by Hogshead Publishing three years later. Then, my simple market town began to take on a life of its own. In 1998, the RTS video game Dark Omen included a mission titled “The Defence of Bögenhafen.” When Games Workshop teamed up with renowned tabletop RPG publisher Green Ronin to create Black Industries and publish WFRP’s second edition in 2005, their Empire sourcebook Sigmar’s Heirs included an adventure titled “Ill Met in Bögenhafen,” which returned to the town in the aftermath of a Chaos incursion that had devastated the Empire. A fan-created version of Bögenhafen appeared in 2017 for the fantastically popular strategy game Total War: Warhammer – but 2018 promises to be the town’s best year ever. Earlier this year, new license holder Cubicle 7 reissued PDF versions of the entire Enemy Within campaign in the run-up to their 4th edition of the WFRP tabletop RPG. As I write this, I am working on a 30th anniversary “Director’s Cut” of the beloved campaign – voted the best tabletop roleplaying campaign of all time by French magazine Casus Belli – which will, of course, revisit Bögenhafen and present its secrets for old and new players alike. 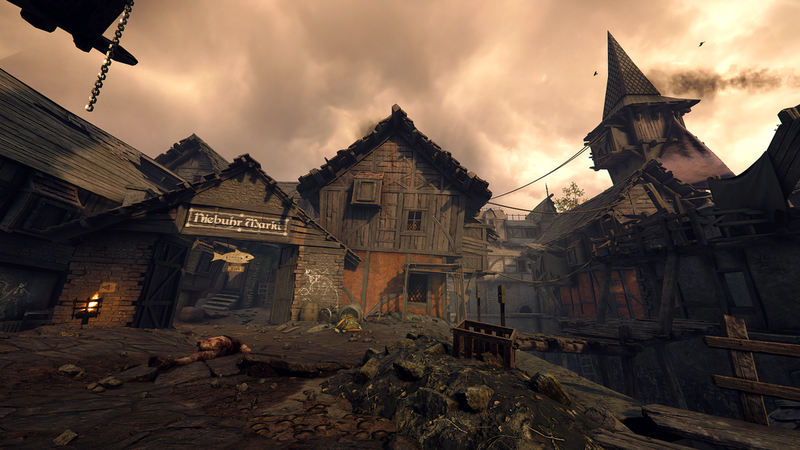 And now, Vermintide II players will be able to visit Bögenhafen and explore the town in 3D, as they search for a terrible ancient artefact.